Some of my favorite memories include Easter Sundays. 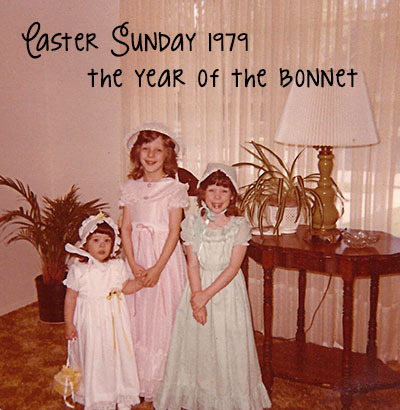 As a child, I would awake early on Easter morning, run downstairs in my sponge curlers to see what my parents had left for me in my Easter basket. My parents never made much ado about the Easter bunny, so I didn’t grow up thinking too much about him either. 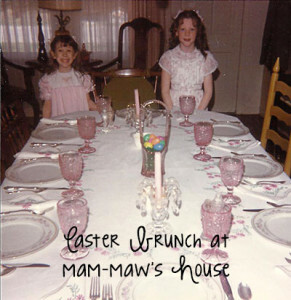 Most importantly, we’d attend Easter worship services as a family. I appreciate the balance my parents were able to strike between cultural and Christian traditions. 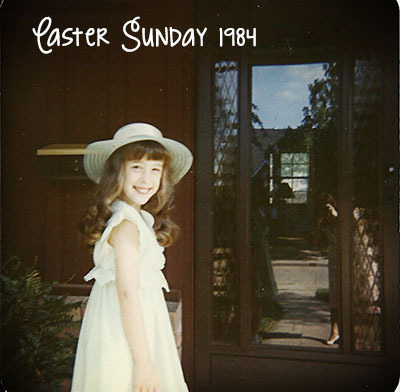 Because of my parent’s careful instruction, I know Easter is a meaningful day because of Jesus’ Resurrection from the grave, not because I received chocolate robin eggs or wore a new dress to church as a little girl. I want to pass that same message on to my sons. I want them to see a Lamb when they approach Resurrection Day, not a bunny. For that reason, for the weeks leading up to Easter, I spend time talking to the twins about new life, the cross, the tomb, and what it means for us today. 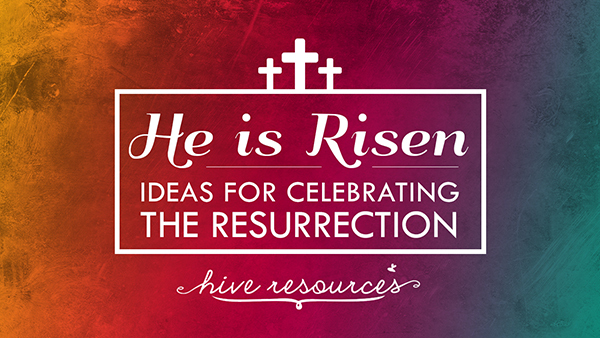 (1) This Easter we’re using the Easter Story Eggs & Devotional by Family Treeditions. 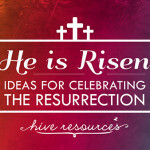 (2) We’re also incorporating some of the activities from Amanda White’s new Easter tool – A Sense of the Resurrection: an Easter Experience for Families. (3) Last year, we used the superb family devotion study by Barbara Reaoch, Why Easter? This year, a friend just released a family guide on the Passover on her site – Passover for Christians. And while I haven’t read her e-book yet, there is a free download resource on her site to help you walk your family through a Seder meal. This might be something we incorporate into our celebrations next Easter. On Easter morning, we will give the boys baskets just like I had as a child. Inside their baskets, I’ll put a little candy (candy goes a long way for us!) and either a Bible or Christian books about the Resurrection. Books 1-6 are simple and are great introductory tools for teaching smaller children (ages 2-4) about the Easter story. I bought all of these together, knowing that they would be imperfect reflections of the Easter account contained in God’s Word. But I wanted to capture my kids imaginations with the delight and glory of the empty tomb. Of all the books listed, I thought God Gave us Easter was a little too abstract on its teaching of the Resurrection and too soft on sin. My favorite books out of this list are #7 and #8, both by R.C. Sproul. My boys loved the illustrations of The Prince and the Poison Cup, and I loved the theologically-rich message of the new life that springs from Christ’s death. Both of these books are better suited to older children (ages 5+). I’ve avoided buying this Bible for a variety of reasons, chief among them that it’s not an actual translation. But with one boy who is still a pre-reader, yet obsessed with all things super hero, I decided to give it a go. I was really surprised by its depth and vivid storytelling. After looking through it, I’m actually very excited to walk through this book with my sons! 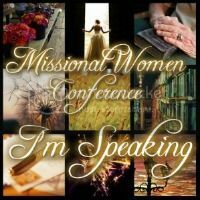 I think they will be enthralled with the artistry, as well as the story of Scripture it paints. 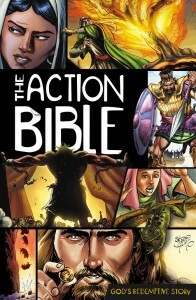 Currently, the The Action Bible Easter Story which is part of this Bible is FREE on Amazon for kindle! 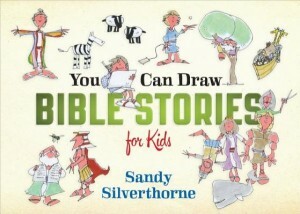 So, hurry over and grab it up as a good way to preview the Bible with your child before you buy it. 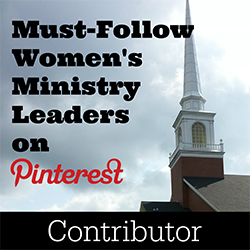 I discovered this little gem from kidmin blogger Amanda White. 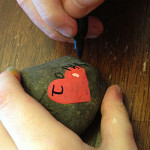 I plan to put it in the basket of my budding artist, who eats up all things art and drawing. I hope it will become a tool that will allow us to sketch sermon notes together and give him a bigger framework for seeing God’s story. What do you put in your child’s Easter basket to lead them to the empty tomb?